VOLIFT is the FDA approved filler that is used to enhance the appearance of cheek area. Your cheeks may lose volume over the time making you look old, tired and unappealing. As it helps to add volume to the cheek area, it also eradicates all the wrinkles and lines in that facial area. 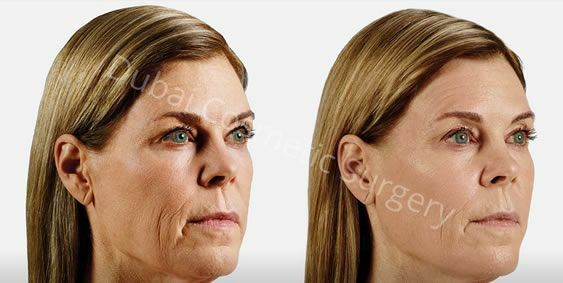 VOLIFT is considered more effective because this filler is capable of flowing consistently without any difficulty or discomfort. It helps in lifting the cheek and jowls enhancing the appearance of complete face. Why You Should Opt for VOLIFT? Why Should I Choose VOLIFT? It is a FDA approved filler for cheeks which makes it a safe treatment. It gives immediate results. You will get desired results in a single session. Results of VOLIFT are comparatively long lasting than other treatments. They may last up to 15 months. It is a minimally invasive and non-surgical treatment. It requires no downtime to recover. No pain involved, you will not require any anaesthesia to carry out the procedure. It brings our natural looking results, it does not prevents the appearance of your facial expressions. It effectively improves the contours of jaw line. Results of VOLIFT would be natural looking. They can be reversed and corrected if you need alterations. However, the results by VOLIFT are immediate and long lasting as compared to other fillers. There is no risk of serious complications associated with this procedure. However, you may experience certain side effects that will be subsided in 2 or 3 days. If you feel a need of volume in your cheek area or you want to improve the contours of your jawline by lifting, smoothing and tightening of the skin, VOLIFT fillers may be the right option for you. To ask any questions or to understand if the treatment is suitable for you, you can book a free consultation only by filling the consultation form.